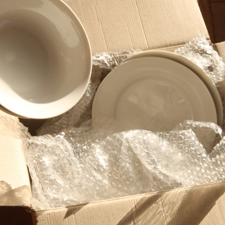 In the event, you may realize that some of your goods are damaged or missing, or if you feel that you have been over-charged or charged for services that you didn’t received prior, during or after services were completed, all customers understand that they should initially give the service provider (Their Moving Company) the first right to fully investigate and respond in writing with a resolution to their issues. YOUR MOVING COMPANY LEGAL NAME. YOUR FULL NAME AS IT APPEARS ON THE BILL OF LADING (CONTRACT). YOUR ORDER NUMBER, OR MOVE CONFIRMATION NUMBER. MOVED FROM STATE / MOVE TO STATE. Upon receiving your information online, a Claim Acknowledgment Confirmation Notice will be sent to you via email, confirming that your claim/complaint has been received and entered to our electronic system. Note: Please make sure to check your junk or spam folders for our email confirmation. HOW CAN I CHECK THE PROGRESS / STATUS OF MY CLAIM? We highly recommend that you add our email address: Support@MovingClaims.net to your contact list. It will ensure email delivery directly to your Inbox and not your spam folder. FOR INTERSTATE MOVES: Your carrier has 120 days to provide a settlement offer for your claim, from the date your complete claim along with all required documents is received in their office. If claims can’t be settled or denied within that time, an extension notice must be sent to the customer within every consecutive 60 days period. MovingClaims.net as the assigned third party claims company must follow the same requirements of your carrier’s. However, as part of our customer service we strive to offer a speedy resolution. KINDLY ACCEPT OUR APOLOGIES FOR ANY INCONVENIENCE AND WE WISH YOU THE BEST IN YOUR NEW LOCATION! NOTE: All claims correspondence must be made in writing (VIA EMAIL/MAIL). MovingClaims.net is not an insurance company and the employees of MovingClaims.net are not acting as your insurance claim adjusters. MovingClaims.net does not practice Insurance law, does not give legal advice, and does not adjust insurance claims. 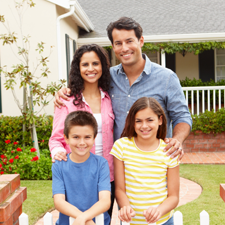 By using the MovingClaims.net website, no insurance claim will be created with MovingClaims.net. Instead, you are filing a Household Goods claim directly with the motor carrier who moved you via MovingClaims.net Websites for the purposes of settlement negotiations based upon the valuation selection you made; not an insurance claim. The information contained in this email is designed for informational purposes only. Nothing in this email is designed or intended to constitute legal advice. Federal, state, and local laws and regulations governing the moving industry change frequently and may be interpreted differently by different people. If you need specific legal advice you should consult a lawyer directly or a representative from the US DOT.